What is Dandruff? Why Do I Have It & How Do I Get Rid of It? There’s no way of sugar-coating it: Dealing with dandruff is no fun. 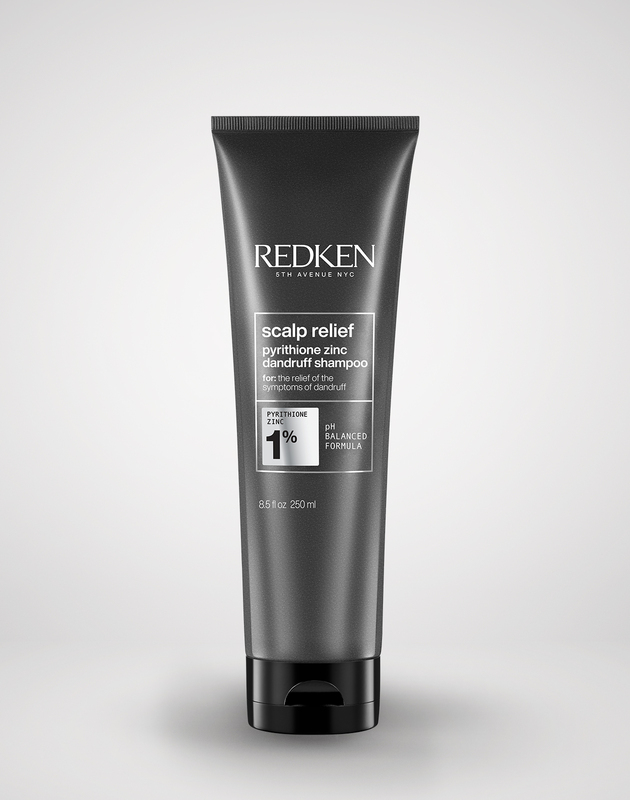 Flakes, an itchy, dry scalp…the condition can be seriously uncomfortable, not to mention maybe a little embarrassing. Happily, all it takes is the right dandruff shampoo to get rid of drandruff. Keep reading to learn what it is, what causes it, and, most importantly, how to fight those flakes. Dandruff refers to the fine, white flakes that come off your scalp, though other symptoms include scalp itching, tightness, and even redness. The cause? A particular type of yeast that lives on the scalp (gross, but true) known as Malassezia ovalis. Some people are especially sensitive to this yeast, and that reaction can cause both inflammation and an excessive growth of skin cells. Those extra skin cells then stick together and fall off as, you guessed it, flakes. And the inevitable itchiness that can come with it doesn’t help matters, since scratching only causes more inflammation and makes matters worse. WHY DO I HAVE DANDRUFF? Unfortunately, there’s no concrete answer here. While the yeast is present in everyone, it’s still unknown why some people are more sensitive to it than others. Still, there are some external factors that also play role. Things such as stress and pollution can impact the sebum (AKA oil) levels on your scalp. Malassezia yeast feeds on oil, so more oil equals more yeast which equals, yep, more flaking. 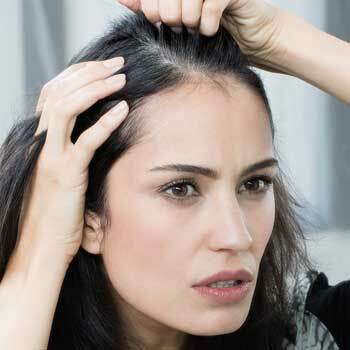 An oily scalp can also lead to a condition known as seborrheic dermatitis, which results in yellow, greasy flakes, along with redness and scalp itching. As annoying as dandruff is, the good news is that it’s easy to treat with the right dandruff shampoo, namely one with pyrithione zinc. The over-the-counter, anti-fungal ingredient works by controlling the amount of yeast on your scalp (and, as we’ve established, less yeast equals less flakes). The Scalp Relief Dandruff Control Shampoo contains that superstar ingredient, plus hydrating glycerin and soothing lavender for your scalp. A unique interbond scalp system carries these important ingredients and helps them bind better to the scalp and the hair. 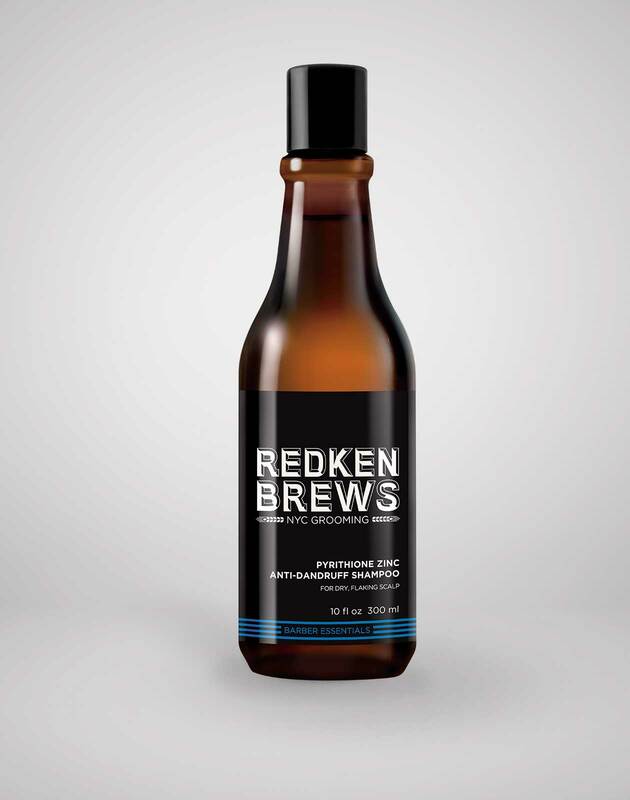 Guys dealing with dandruff (if that’s you, you’re definitely not alone, as one in two men are looking for dandruff control products) will appreciate the new Brews Anti-Dandruff Shampoo. It also contains that all-important pyrithione zinc, and also helps control flakes, itching, irritation, and scaling. HOW SHOULD I USE THESE DANDRUFF SHAMPOOS? Since these formulas are a little different than your standard shampoo, they should be used a little differently, too. If your dandruff is mild or you’re just trying to prevent flaking, use either one of these dandruff shampoos twice per week. To treat more intense dandruff, they can be used daily. Either way, be sure to massage the dandruff shampoo into your scalp—after all, that’s the area that needs it—and let it sit for about five minutes in order to give the pyrithione zinc enough time to knock out that problematic yeast. 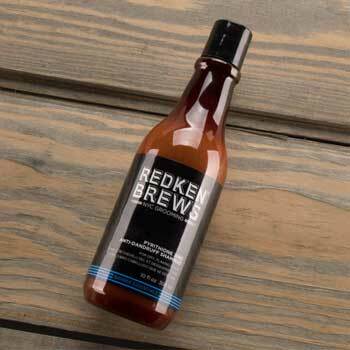 For more information and tips on scalp and hair health, follow @Redken on Instagram!